In our week in Sri Lanka we saw many wonderful things but what gave me the biggest thrills were the vegetable and fruit markets. As of the last few years, wherever I travel my heart's desire is to visit as many local markets as possible to see what the local produce is and what new (to me) ingredients I chance upon. We were in Sri Lanka for a conference and after the conference we had a few days to ourselves touring some of the biggest Buddhist heritage sites in the country. Among these was Dambulla which has a huge cave monastery and cave temple site (a World Heritage Site). 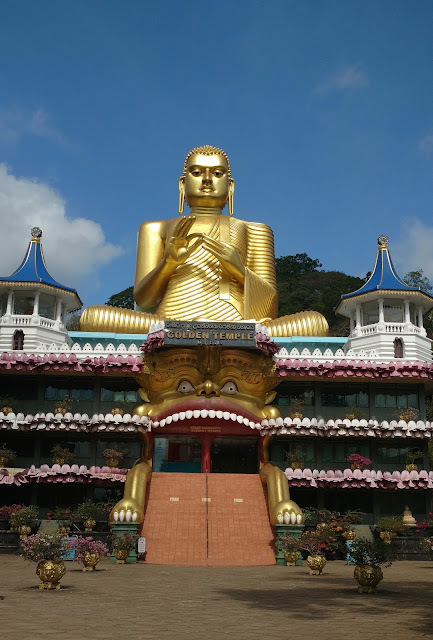 Though we didn't actually see the temples or monastery, the hubby having restrictions on climbing and walking thanks to recent knee surgery, we spent a happy hour or so sitting at The Golden Temple at Dambulla followed by a walk through the local vegetable market. Dambulla is the central wholesale hub for produce in the country and there's a huge wholesale market where the goods arrive from across the island and are redistributed and sent off to markets in the cities and towns. It's big business and there's constant activity with large and small trucks driving in and out carrying every vegetable and fruit grown in Sri Lanka. Our driver told us there are no market stalls inside and apart from men loading and unloading sacks there would be nothing to see. I was quite disappointed but we'd seen a small local market teeming with produce just a kilometre or so nearby and so we decided to check that out instead. I still believe the wholesale market will be magical and will go there someday. But till then I'm content with what I saw in the smaller market. The market was a long line of stalls along the side of the main road, each one packed with fresh vegetables, fruit, and a variety of local fried snacks and other small eats and ingredients - sort of like a small grocery section within the vegetable shop. 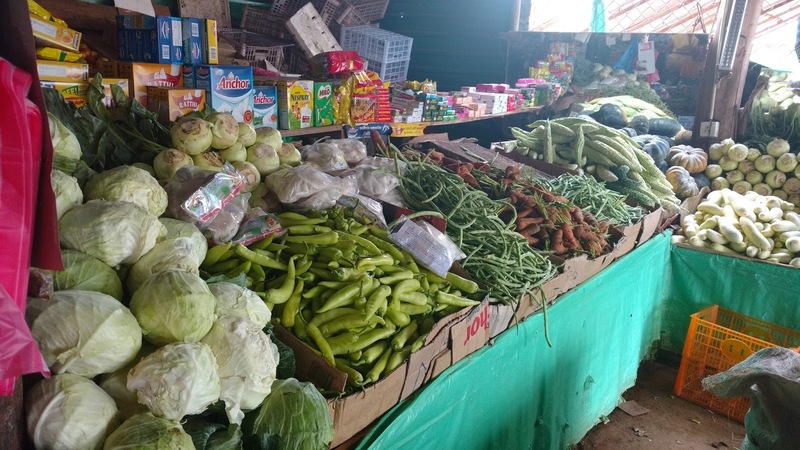 There were plenty of green leafy vegetables, varieties of melons and squashes, beans, brinjals, kohlrabi, cabbages and lots more. Winged beans. These are so beautiful! Not something one sees commonly in the Mumbai markets but I saw them in many places in Sri Lanka. The hubby loves kohlrabi and was delighted to see such big and fresh looking kohlrabi in the market. I was so tempted to buy a few to bring back, but unfortunately I didn't. I should have! Buffalo curd paired with palm treacle is a hugely popular dessert in Sri Lanka and we encountered it at nearly every meal there. The hubby was a very happy puppy indeed! One of the fruit stalls at Dambulla market. Varieties of bananas mangoes, avocados, watermelons, apples, king coconuts, and lots more! I saw packets of chaklis and other fried snacks also on sale among the piles of vegetables and bunches of fruit. Markets have a certain energy - mounds of fresh produce, sellers waxing eloquent, the noise, the buzz... something about markets make them really hard for me to resist. The half hour we spent at this one in Dambulla is one of my best memories of our holiday in Sri Lanka.